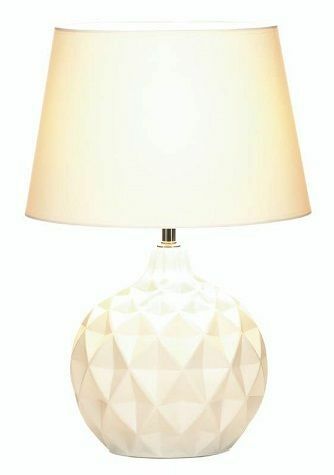 Smooth curves and striking geometric shapes mix and mingle to create a fantastic lighting accent for your home. 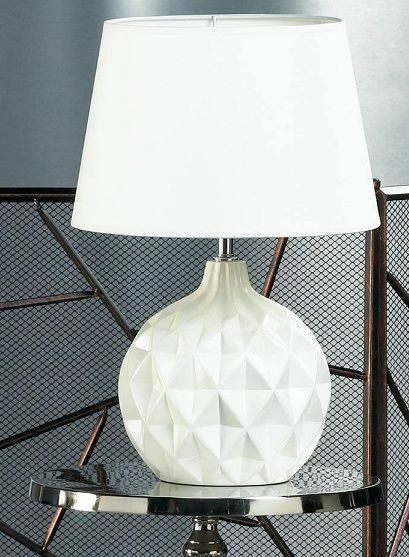 This lamp is small in size but big on style! LED E26 (60W) light bulb not included. Base: 10" x 10" x 13" high; shade: 13" x 13" x 9" high; power cord is 65" long. Dimensions: 13" x 13" x 19.1"